Ok, I know that this blog is about the food and not places, but I had to mention this place because of its unique building. 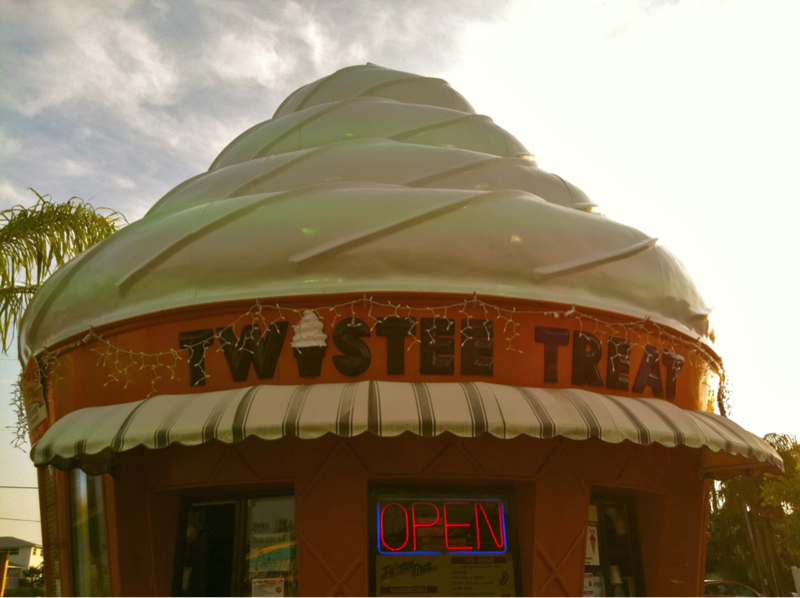 The Twistee Treat that is located on Gulf Blvd in St Pete’s Beach, Florida is a cone shape building topped with the look of soft serve ice cream on top. To me, it screams “you are at the beach!” There is nothing like going up to the window, ordering a soft serve delight and sitting on the benches in front of this unique ice cream stand and enjoying your ice cream while smelling the warm salt air from the ocean. If you are ever in the St. Pete’s area, stop by and experience this little stand.